1850 directory: Butcher & Hodgkinson, Schofield's Mill, and 50 Cannon street, Manchester (cotton spinners and manufacturers). 1851: Marked on OS map as Scholfield Street Mill (cotton spinners). 1871 directory: Richardson John and Samuel, Schofield street and Horsfield mills (cotton spinners). 1875 directory: Jones Thomas, Schofield street, & Albert mills, Heywood. 1907: Marked on OS map as Cotton Waste mill. 1937: Named as Isherwood Mill (cotton waste) on OS map. 1977: Still present on OS map as cotton waste mill. Notes: Cotton waste processors took all the waste from other mills, sorted the best from the worst, and sold the best back to the mills. This was a dirty job. Isherwood Mill, OS map, 1937. 1786: A water mill is marked in this area on Yates' map of Lancashire. 1848: Marked on OS map as Shepherd Mill (fulling). 1890: Marked on OS map as Shepherd Mill (disused). 1908: Marked on OS map as Shepherd Mill (bleaching and finishing). 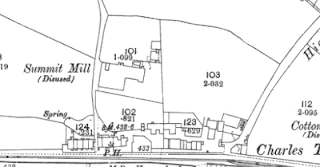 1923: Marked on OS map as Shepherd Mill (bleaching and finishing). 2018: Some structures possibly still present. Shepherd Mill, OS map, 1890. 1840s: Built as a fulling mill. 1880 directory: Oram Thomas & Sons, woollen manufacturers, Simpson Clough Mills. 1940s: Used for food storage during World War II. 1946: The mill was converted for paper manufacture. 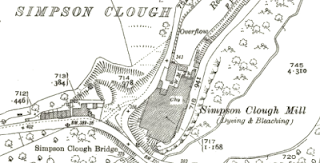 Simpson Clough Mill, OS map, 1930. 1871 directory: Spencer and Co., South street (cotton spinners). 1880 directory: Royds Samuel, cotton spinner, South Street Mill; h. 90 Bury Street. 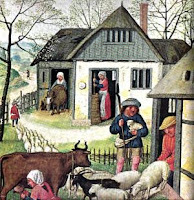 Notes: While this might possibly refer to the Paved Brow New Mill (which faced onto South Street), there was also a small mill on South Street that was never named on OS maps. This building was not present on the 1851 map but was there on the 1890-1928 maps. By 1937 it was no longer present. 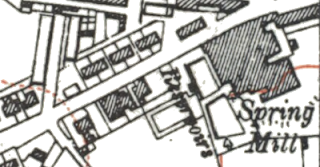 Possible 'South Street Mill' (shaded), OS map, 1890. 1851: Not present on OS map. 1871 directory: Smith David (manufacturer of Mexican T's, domestics, &c.) Spring mills (cotton spinner and manufacturer). 1880: Smith David, Esq., J.P., cotton spinner and manufacturer, Spring Mills; h. Spring cottage, Bury Old Road. 1888 directory: Gleave John & Co. Spring Mill, Bury Old rd. & Princess Mill, Gregge St.
1890: Marked on OS map as Spring Mill (disused). 1972: Fire. The mill had 300 looms for towels around this time. Spring Mill, OS map, 1938. 1851: No mill buildings present on OS map. 1880 directory: Moses H. E. & M., fustian manufacturers, Fountain Mill. 1888 directory: Moses H. E. & M. Fountain Mill, Stanley St.
1891 directory: Monkwell Street Warehouse Co, 104 looms, fustians. Note: The only mill buildings on Stanley Street circa 1890 were later called Stanley Mill. No indication on maps of any other mills in the immediate area. 1891: Building present on OS map. 1907: Marked on OS map as Stanley Mill (cotton). 1917: Healey Brothers were operating here. 1928: Extension of building to Pine Street shown on OS map. 1957: Marked OS map as Cotton Mill. 1969: Marked on OS map as ‘disused’. Stanley Mill, OS map, 1907. 1852: Established by John Clegg and Co., boiler makers. 1890: Marked on OS map as Star Boiler Works. 1902: Hargreaves and Clegg took over the mill. 1908: Marked on OS map as Star Match Works. 1927: Unnamed building marked on OS map. 1957: Marked on OS map as sheet metal works (new buildings). 1969: Marked on OS map as sheet metal works. Star Boiler Works, OS map, 1890. Iron works, later finishing works. 1875: Mills F.B. & D., Star Ironworks, Heywood. Made power looms. 1891: Marked on OS map as Star Iron Works. 1907: Marked on OS map as Finishing Works. 1937: Marked on OS map as Finishing Works. 1957: Buildings not present on OS map. Star Iron Works, OS map, 1890. 1890: Marked on OS map as Summit Mill (disused). Summit Mill, OS map, 1890. 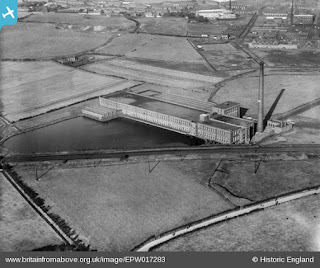 1830s: Built beside the Heywood Branch Canal for William Smith and Brothers, makers of power looms. Smiths had been making power looms since 1824. 1888: Mills F. & D. (patent revolving flat carding engines). Star Iron Works; Smith William & Brothers, Sun Iron Works, Sefton St. (machine makers). 1957: Still present on OS map. Sun Iron Works, OS map, 1907. 1871 directory: Robert Kershaw, bleachers. 1879-92 directories: Joseph Shepherd, cotton waste. 1891: Marked on OS map as Bleach Works. 1894: Marked on OS map as Tack Lea Bleach Works (disused). 1908: Marked on OS map as Tack Lea Bleach Works. 1901-24 directories: William Eckersall and Co., bleachers and dyers. 1956: Marked on OS map as Tack Lea Bleach Works. 2018: Some buildings still present. Tack Lea, OS Map, 1908. 1848: Marked on OS map as Tenter House Mill (woollen). 1890: Marked on OS map as Tenter House Mill (woollen). 1908: Marked on OS map as Tenterhouse Mill (bleaching and dyeing). 1923: Marked on OS map as Tenterhouse Mill (bleaching and dyeing). The mill has been expanded. 2018: Buildings not present, land empty. Tenter House Mill, OS map, 1890. 1880 directory: Tattersall James, Son & Co., cotton manufacturers, Twin Mills, Hopwood; warehouse, 3 Marsden Street, Manchester. 1888 directory: Ashworth & Silkstone, Twin Mill, Victoria St. Hopwood. 1888 directory: Cooper & Dewhirst, Twin Mill, Victoria St.
1888 directory: Twin Mill Warp Sizing Co. Victoria St.
1891 directory: Ashworth and Silkstone (fancy goods, towels, &c.), ; Manchester warehouse-14, Brown street. 1891 directory: Benjamin Cooper, 54 looms, velvets. 1922 directory: Operated by Gregge Street Manufacturing; Taylor, G.
1957: Marked on OS map as Cotton Mill. 1977: Still marked on OS map. Twin Mill, OS map, 1907. 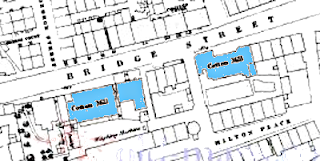 1851: A small cotton mill on Bridge Street, opposite George Street, is marked but unnamed on the OS map. The same building is present on all subsequent maps until the 1930s, when it was replaced by the Salvation Amy Hall, which was a similar size and shape to the former building. Any further information about the name or owners of this cotton mill would be appreciated. Two small cotton mills on Bridge Street, OS map, 1851. 1851: A small cotton mill is marked but unnamed on the OS map on Bridge Street, directly opposite Collinge Street (now Shepherd Street). 1890: The mill has gone and the OS map shows a row of houses here with the Commercial Inn at the end. 1907: Established with 72,000 ring spindles. One of the last cotton mills to be built in Heywood. 1957: Marked on OS map as Unity Mill (cotton). 1959: Ceased production as a result of reorganisation of the cotton industry. 1960: Leesona (industrial and commercial machinery manufacturers) took over the building. Unity Mill, OS map, 1937. 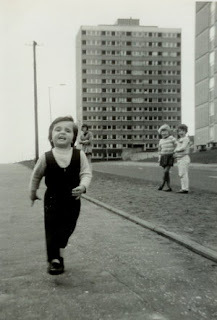 Tack Lee bleach works looks like the place now called "Birtle Brook Village" - a swish retirement village made of cottages using the old mill buildings, but with a restaurant and a bowling green. A couple of the lodges are still present but landscaped and the home to ducks and geese.I know some people that live there and it's all very pleasant - a long way from the "bleach works"!